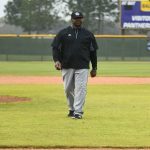 University of Arkansas at Pine Bluff head baseball coach Carlos James has been elected to the Seminole State College Hall of Fame. James along with the Class of 2019 will be officially inducted on Thursday, April 25 in Seminole, Okla.
James was an outfielder at Seminole State in 1991 and 1992, helping the Trojans reach the National Junior College Athletic Association (NJCAA) World Series. James, the Pine Bluff native who prepped at Pine Bluff High School, finished his collegiate playing career at the University of Arkansas. 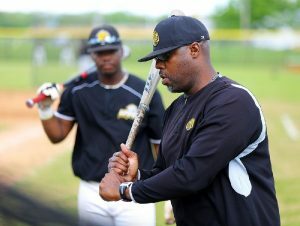 James graduated from UAPB and began his college coaching career with the Golden Lions from 1998 to 2001 before working as a scout for the Seattle Mariners. He was head coach at Arkansas-Monticello before coming full circle in being named UAPB head baseball coach prior to the 2011 season. He has led Golden Lion baseball to three Southwestern Athletic Conference Western Division titles and five 20-win seasons during his tenure as head coach.